Finally most popular game ever for mobile devices, Angry Birds is now available for PC's and users now can play Angry Birds Game within their PC's Web Browsers. Today at Google I/O Conference Google has announced the popular bird hurling game, Angry Birds for Chrome Web Store. The browser version of the game is now available and can be played at Chrome Web Store. But you are not limited to play it in just Google Chrome but also you can play it with any of your browser version either Mozilla Firefox or Internet Explorer. Google have used the popular mobile game Angry Birds to promote their own Web Store for Chrome, the application can be played in Mozilla Firefox and Internet Explorer. If you have yet to play the game that has taken the smartphone and tablet market by storm, you can now get your feet wet by using your browser. Angry Birds has been a massive success, the simple game has become an Internet classic and is among the top selling mobile applications of all time. The game is available to any modern browser; it may be possible for Google to use the Chrome Web Store to obtain exclusive levels of the popular game explicitly for the Chrome browser. Google is clearly using the popular game to help promote its browser in an attempt to gain market share, but is this game enough to take users away from IE and Firefox. 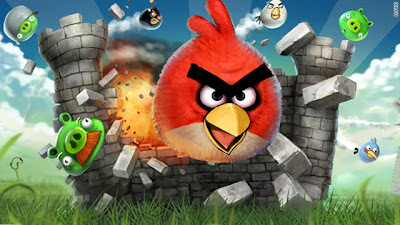 Wants to play Angry Birds Now, Just Click Here and enjoy it.